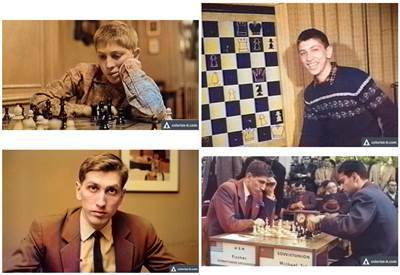 Start with a Google image search on 'chess fischer'; select a few black & white photos; feed them to a colorizing service. You get something like the composite image shown below. Does the Imagenet dataset consist mainly of brown & blue photos? The USA and USSR flags in the photo on the bottom right might be the reason why that image shows a few other colors.